We are all really excited to meet you in Matera and to get into the groove of being with people passionate about the world of geo-data! As soon you get the confirmation that your registration and payment has been received book your accommodation. This year (2019) Matera has been nominated as the European Capital of Culture 2019 so it will be quite busy and we strongly suggest to book your accommodation in advance. 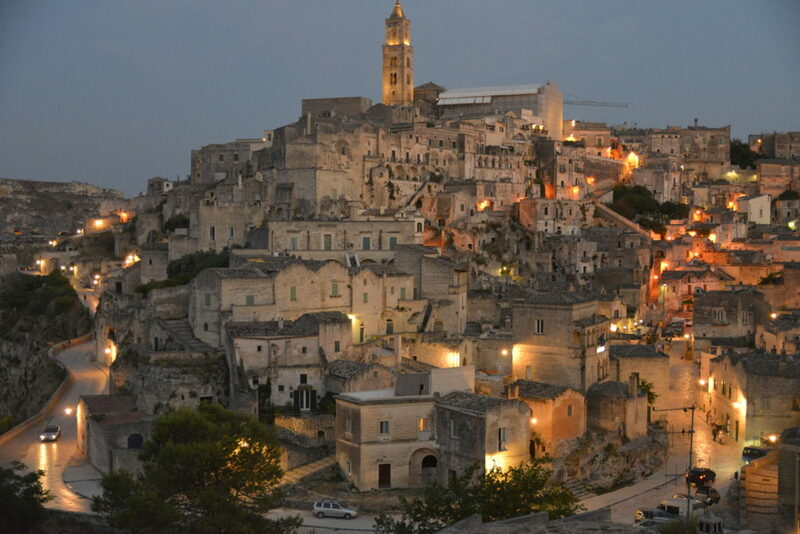 Attendees can choose from a large range of B&Bs or hotels in and around Matera ( B&B List ). You can book from main online reservation web sites such as google, Booking or Airbnb etc..
For the accommodation below, contact directly and use the “Summer school Geocomputation” reference to get a discount. Hostelling International Matera – Le Monacelle – lemonacelle@hotmail.com from 22 Euro for a bed in a dormitory. Breakfast included. 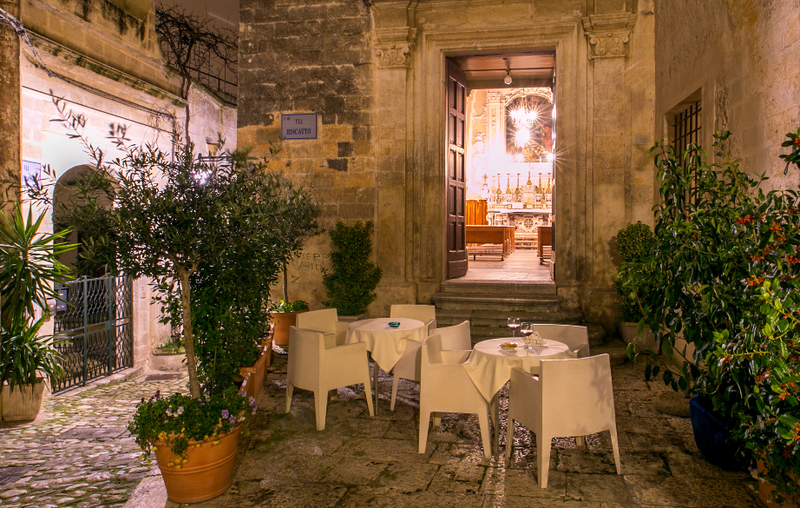 Le Monacelle is a 16th century building providing a postcard worthy window into Matera’s historical area, Sassi. With its authentic cobbled terraces and location next to, or even in, the Stones of Matera UNESCO World Heritage Site, this is the perfect accommodation choice for lovers of archaeology – and beauty. The average cost of living in Matera is low compared to Italian standards, e.g. meal in an inexpensive restaurant costs 10-15 Euro. You can find detailed information here. The easiest way to reach Matera is to fly to Bari Karol Wojtyla Airport BRI (also called Bari Palese airport) around 70 km away. Bari Airport is also served by low-cost airlines, such as Ryanair, Easyjet, Gemarwings, etc (see the airlines destinations from/to Bari ) from main European cities. Taxi (80-100EURO each way, 1h15min), keep in touch with other course participants to share. 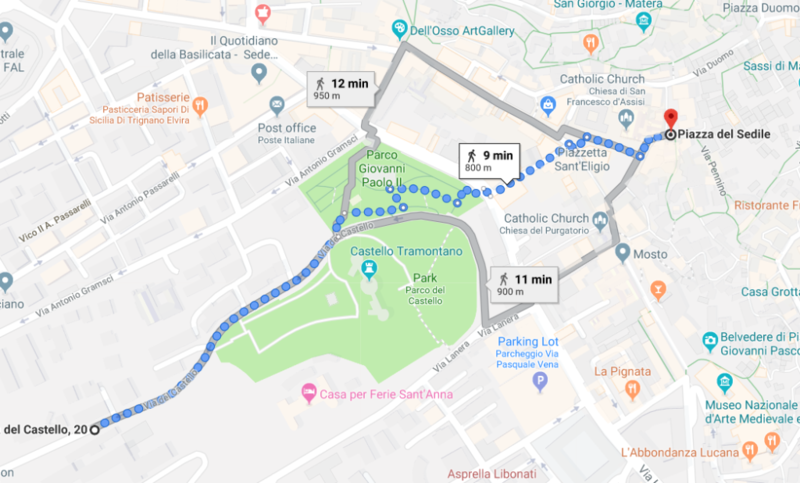 Direct bus service from Bari Airport to Matera (~5 Euro), running 3 times a day (1h 15 min trip) book online in advance selecting Data partenza (Departure date) then Bari and Matera in Partenza (Departure) and Destinazione (Destination) (see below an example for Sunday). In previous years, some departing students have organized a minibus go to the airport. Therefore, you may arrange your arrival individually, and coordinate your return trip with others when you are in Matera. City-Bus public transport AMTAB BUS 16 , connecting the Airport with Bari Centrale railway station. Railway line Ferrotramviaria S.p.A connecting Bari Aeroport with Bari Centrale Station. Railway line, Ferrovie Appule Lucane connecting Bari central station with Matera. Note, the bus & train option need to be planned in advance. Be aware that on Sunday some public transportation lines do not operate. There is a bus service Marozzi which connect main Italian cities with Matera. SITA operates bus services from Matera to Taranto and Metaponto as well as other local towns and villages. 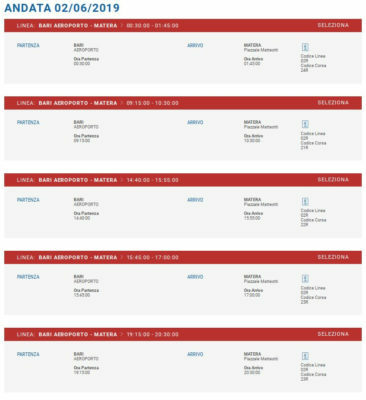 Any further updates will also be posted there.